How can we facilitate more effective, efficient, equitable and sustainable solutions to the problems that confound our communities and world? 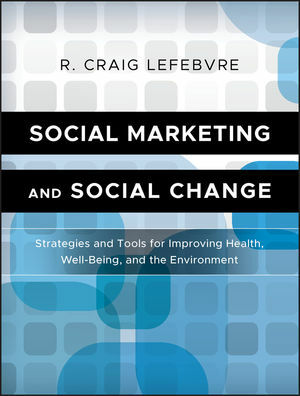 Social marketing guru R. Craig LeFebvre weaves together multi-level theories of change, research and case studies to explain and illustrate the development of social marketing to address some of society’s most vexing problems. The result is a people-centered approach that relies on insight and empathy as much as on data for the inspiration, design and management of programs that strive for changes for good. This text is ideal for students and professionals in health, nonprofit, business, social services, and other areas. R. Craig Lefebvre, PhD is a thought leader and practice advocate for applying marketing to social issues. He is chief maven at socialShifta social design, marketing, and media consultancy, lead change designer at RTI International, and research professor in the University of South Florida College of Public Health.